For my first review of 2013, I decided to hit up a small town pizzeria out of convenience. 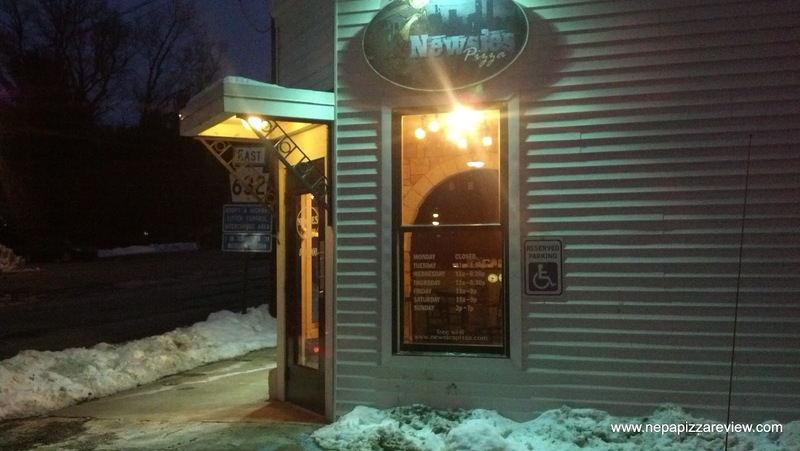 Newsie's in Dalton is a relative newcomer to the NEPA pizza scene in the last couple of years. The store on the corner of Main Street has been known by a lot of names over the years, but I must say this establishment is by far the nicest, cleanest, and classiest storefront they've ever offered. I view Newsie's as more of a takeout place because of it's small size, but there are a couple tables if you want to dine in. I called in my order of a 12" round pizza to go and was told 20 minutes. I showed up in 15 minutes and the pizza was hot and ready for me. As is customary, I grabbed the first slice out of the box and tried it in the car on my way home. For the record, I do speak my notes into my cell phone for easy recollection later! Since I'm not texting or operating the phone while driving, I think I'm ok with the new texting laws! Anyway, the smell when I opened the box really grabbed me as something different. I smelled some sort of Parmesan or Romano cheese, which is something different for a new york style pizza in this area. The first taste netted the flavor of a Parmesan and possibly a bit of provolone mixed in with a higher quality mozzarella. The cheese was a hit with me because of the unique flavorings, but the sauce was definitely my favorite part. This was a hearty sauce with a nice consistency and small to medium size chunks of tomatoes. It was delicately but effectively seasoned, and it was just a gourmet treat. 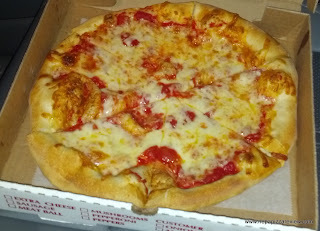 I crust was a bit thicker and fluffier than most New York style pizzas, and I enjoyed it. It wasn't quite as crispy as I prefer, but it also wasn't chewy, and there wasn't anything that really stood out about the flavor or texture of the dough the way that the cheese and sauce did. 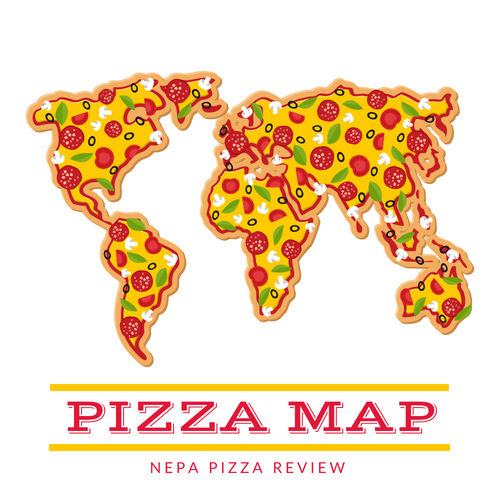 Overall, I'd call it a solid crust that has mass appeal with NEPA pizza lovers. Overall, I have to say I was quite impressed with the pie given it's complex flavors and was decently prepared and cooked. I was even more impressed because Newsie's is relatively unknown to many, and I thought I would have received more recommendations to try this pizza. I cannot vouch for their consistency because I haven't had the plain 12" pie there before today, but I would recommend you give this place a try and let me know what you think. Check out my secret method to reheat cold pizza back to be crispy and delicious again!